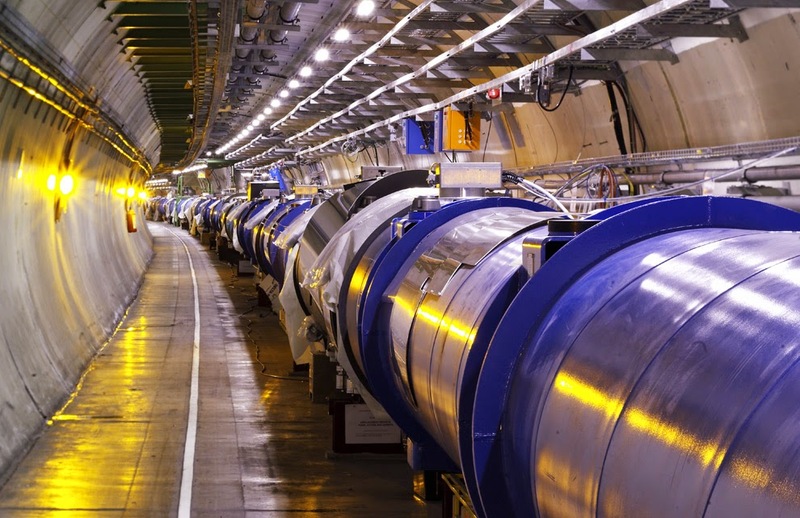 The team of scientists working at CERN's Large Hadron Collider (LHC) facility has reported to the press that the process of restarting the massive experimental mechanism has begun though it won't finish until sometime next year. The world's most complicated system of machines will have to be restarted in pieces to ensure that each is operating properly before the next can be brought online. Though proving the existence of the Higgs boson was a major goal, and achieving it garnered a lot of headlines, the facility at CERN has made progress in other areas as well the creation of quark-gluon plasma back in 2011, is but one example. Now the facility is in the process of an upgrade, which has been in the planning stages for several years and will include upgrades to several pieces and parts of the facility that support the LHC as well as the main accelerator itself. The team recognized that the facility had begun to suffer from diminishing returns and that many parts could be improved due to the development of new technology and improvements on old ways of doing things. Thus, this past February the LHC, along with other parts and accelerators that feed it, was shut down. The retooling has been forecast to total approximately $4.4 billion dollars. Thus far, the team has successfully restarted the part they call the source the piece of equipment responsible for stripping electrons off of hydrogen atoms for use in producing protons. Next up the team plans to fire up Linac2, an accelerator whose job it is to give protons their initial push. After that a booster will be started that will be used to push the protons even faster. For the LHC to be used in its proper context, it must receive protons that are already moving exceedingly fast. Team members have made much of the complete upgrade to the control system for the LHC the part that integrates all of the systems and which of course will be central to a successful reboot. They should know early on if there are any problems. In addition to swapping out parts for new and improved technology, technicians will also be replacing worn cables or other minor but necessary components. If all goes well, the LHC should be ready and back in business sometime early next year. Projects in the pipeline include: ALICE, CMS, ATLAS and LHCb.